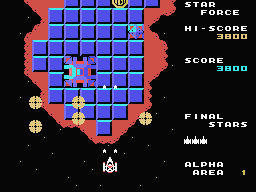 The Final Star is our last hope against planet Gordess! In the year 2010 of the Dimensional Almanac, a mysterious rogue planet appeared in the darkness of the cosmos. It was named Gordess, and its war-driven inhabitants plundered the resources of every planet they encountered, and left nothing but death in their wake. Fighting the Gordess seemed impossible, and yet, against all odds, a brave soldier riding a space patroller challenged the alien army. People called this space patroller the Final Star, and hoped it would save them from impending doom. The Gordess has been commiting mass murder for the last 2000 years. 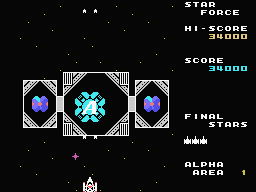 As the pilot of Final Star, can you put a stop to it? 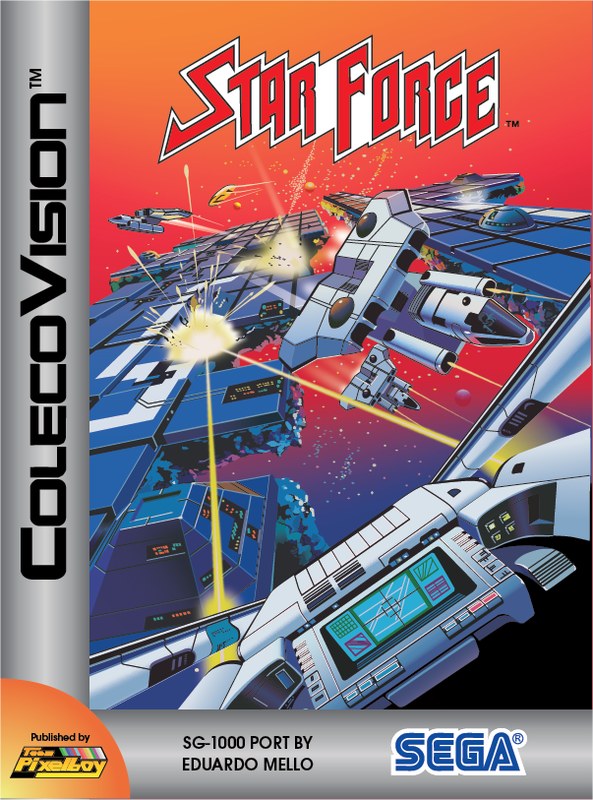 In early March 2011, Eduardo contacted me and offered me his unreleased SG-1000 and MSX ports, so that they may be published by Team Pixelboy, including his SG-1000 port of Star Force. I gladly accepted, and now you can add this high-quality game to your collection! 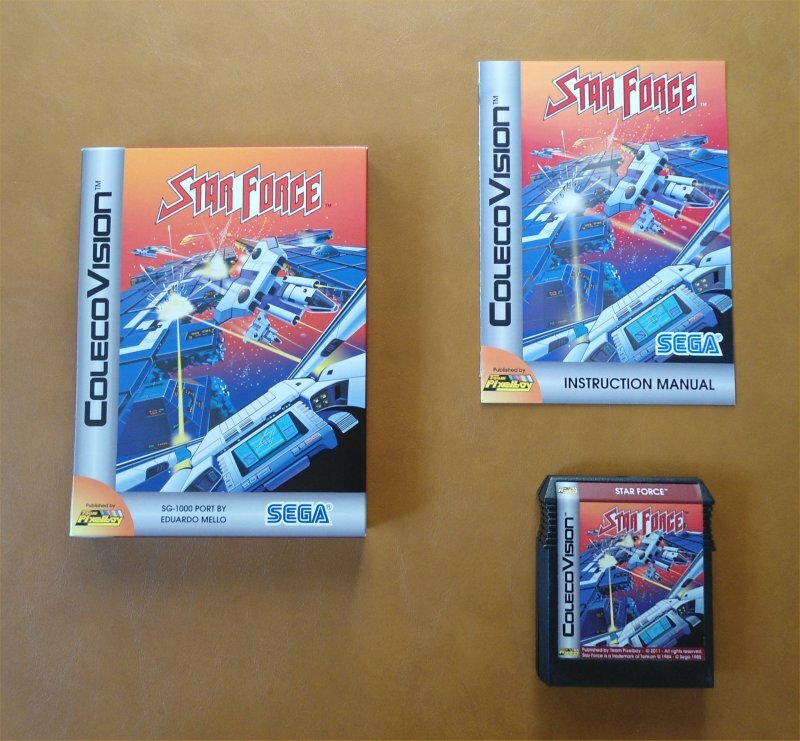 Here is a YouTube video of the ColecoVision version of Star Force.